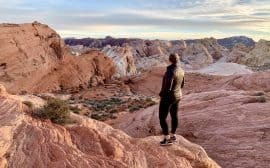 As I prepped for my first cruise last fall, I struggled to find excursions that were up my alley. 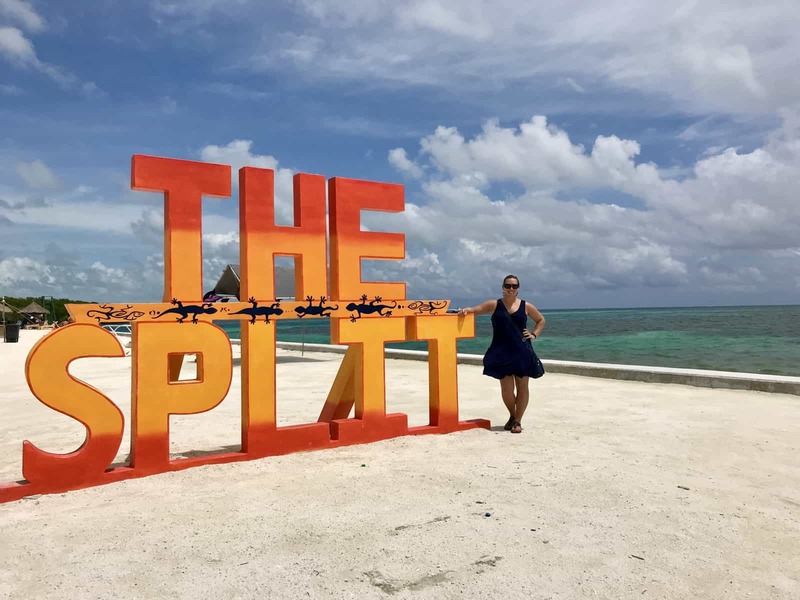 But after a lot of research around Belize City excursions specifically, I finally decided to tackle a self-guided cruise excursion to Caye Caulker so I could show my mom the little island I’d visited just a few months prior. There are a lot of reasons this is a bad idea, but it’s definitely not impossible, and since I couldn’t find a ton of good information while doing research myself, I wanted to provide a really detailed guide for other people trying this in the future. Make sure you check out this ultimate packing list for a beach or pool vacay! 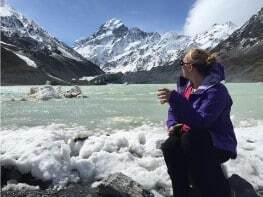 If you have any interest in the jungle, ruins, ziplining, caving, and such, taking a cruise-led or private excursion into the jungle could make a lot of sense. I have trouble imagining how they could get you out to Hol Chan for snorkeling, but if a company is able to then do it—some of the best snorkeling in the world. I also tried to get a charter flight out to the Great Blue Hole, but was visiting on the wrong day to make that happen. I would also say that Belize City port day is a great one to have a deserted pool on the cruise ship all to yourself. 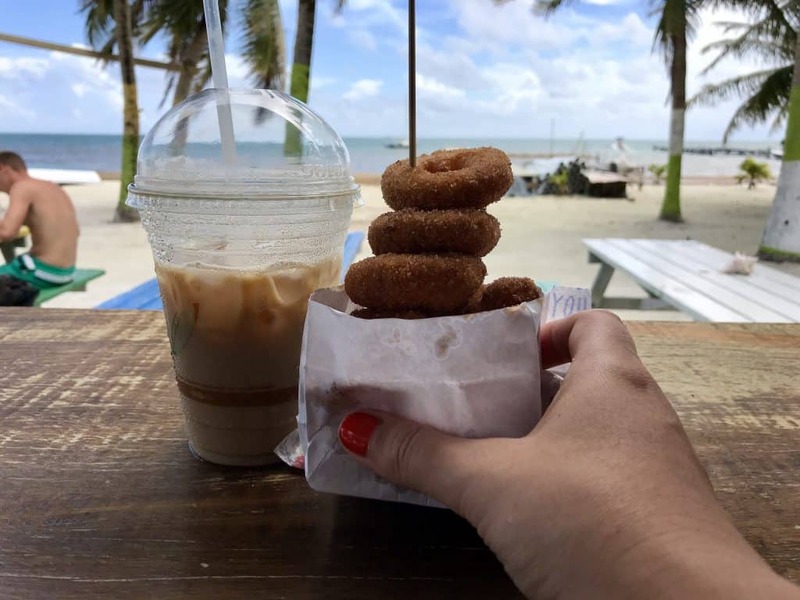 BUT, if you decide you want to try a self-guided excursion to Caye Caulker, this article is for you. It cannot be stated with enough emphasis—Belize City is a tough port to do self-guided excursions from, period. But particularly out to Caye Caulker (and I wouldn’t even consider Ambergris Caye, just too far). It can totally be done (I did it), but it’s really important to know that this comes with inherent risks. 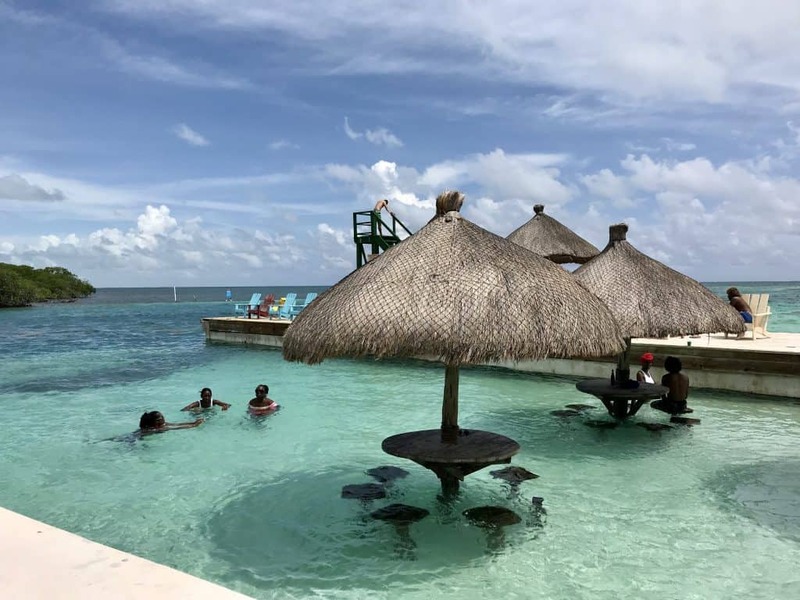 I am a very confident traveler and had also visited Caye Caulker myself just a few months prior, so was already familiar with the water taxi companies, where to go on the island, and other details that helped make it more seamless. 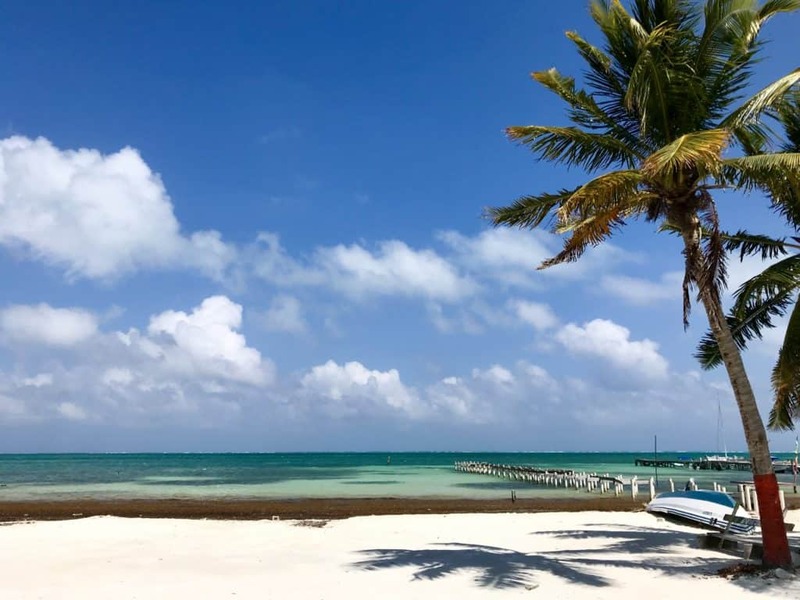 And you will probably only have about 2.5 hours on Caye Caulker once you’re there. Make sure you’re protected—here are 9 sunscreens I swear by for travel! 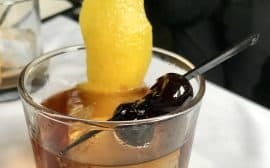 #1: Belize City is a tender port. That makes cruise excursions automatically more challenging because the cruise ships can’t come directly in and dock in the harbor. That means you have to be assigned to a boat (tender) that will ferry you from the cruise ship to the port. This adds anywhere from 20-45 minutes each way, plus whatever time you sit on the tender or in line waiting for everyone to board the tender. This is something you just can’t control, and adds significant time and margin for error. 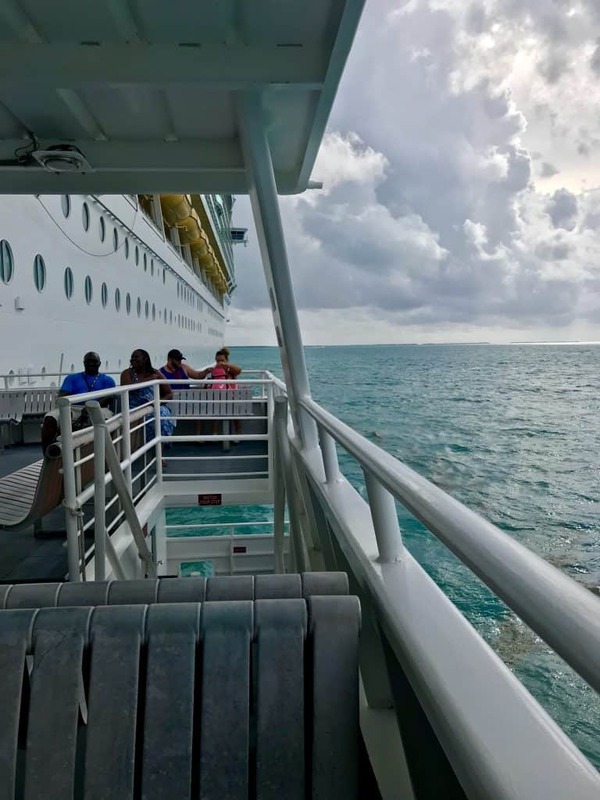 #2: There is sometimes a time difference between the cruise ship and the mainland of Belize. Belize is on Central time and does not participate in Daylight Savings. And depending on where your cruise ship leaves from, that may mean your ship is on a different time zone. You just need to be super sure you understand the time zone math to get back to the boat on time—my recommendation is to have a clock somewhere that is always showing you “ship time”. This is something you *can* control, but need to be aware of. #3: Belize City itself is super sketchy and can be fairly dangerous and I would not recommend trying to navigate it yourself. I heard people saying “we’ll just go into Belize City and walk around”. I’d say…DON’T. 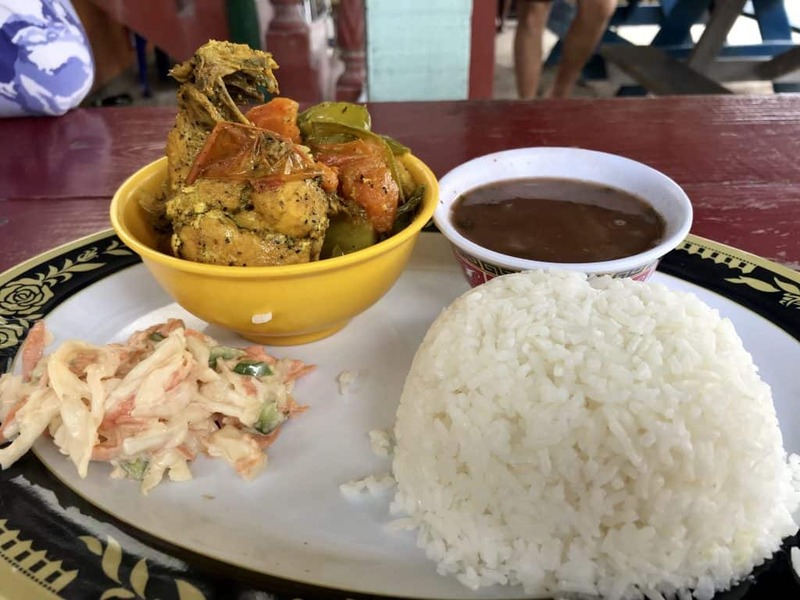 When I was visiting the first time, I even heard super experienced backpackers say that they got the hell out of Belize City as fast as they could. My taxi driver also told me not to stay in the city. #4: Accidents happen. 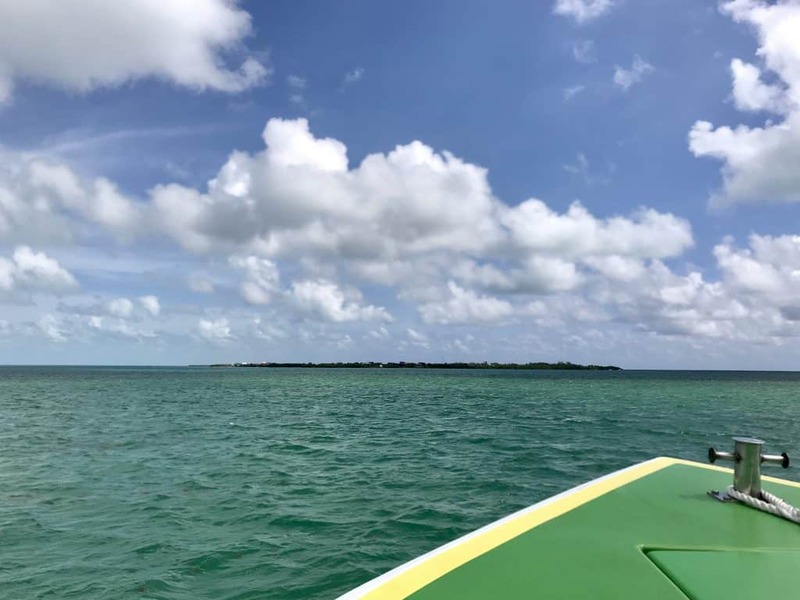 There is always the chance of a water taxi breakdown between Caye Caulker and Belize City. It’s not like it happens every day, but it does happen, and this could accidentally strand you out on the water (or waiting for a taxi) and delay you catching your cruise ship. 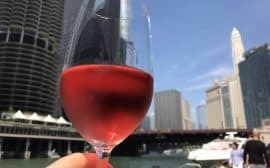 Make sure you have travel insurance that would cover missing your cruise ship on a port day (or live dangerously…I did). 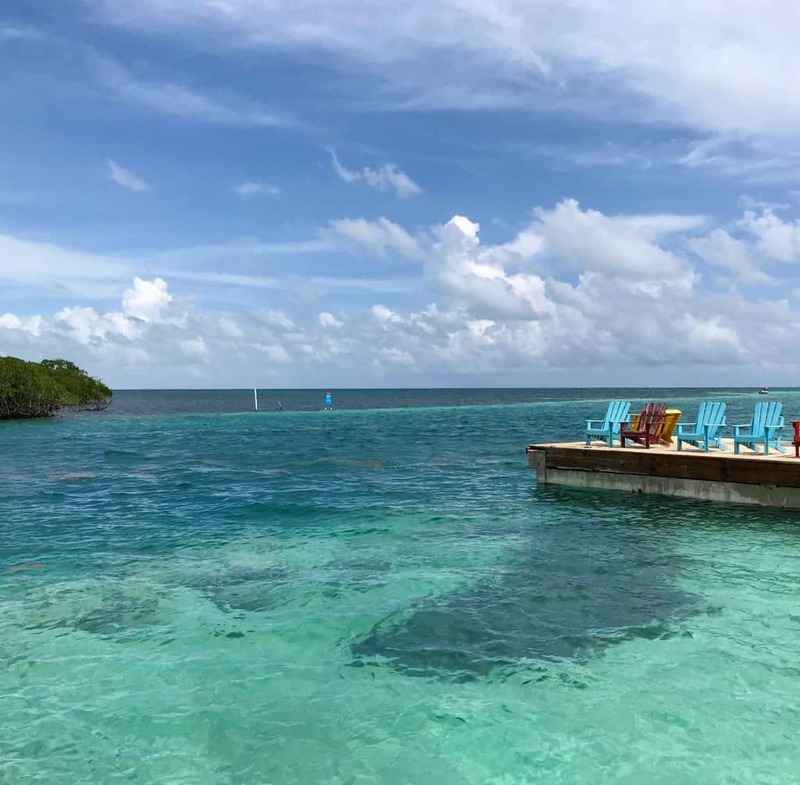 #5: Just as a reminder (as I mentioned in my “reasons you might not enjoy CC“), Caye Caulker doesn’t really have any beaches. So if laying at the beach is your desire, this is not the place for you. There are two companies that run water taxis over to Caye Caulker. One is more frequent than the other, and is what I’ve taken on both of my trips. It is San Pedro Belize Express, and runs about every hour or hour and a half depending on time of day. You can check the schedule at the link above, and it costs $28 USD for a round trip. The other is Ocean Ferry Belize, and they run about every hour and a half to three hours, depending. It’s kind of an odd schedule, though does hit some off times from the first company so could give you options. Thankfully, the water taxi is literally around the corner from the cruise port. 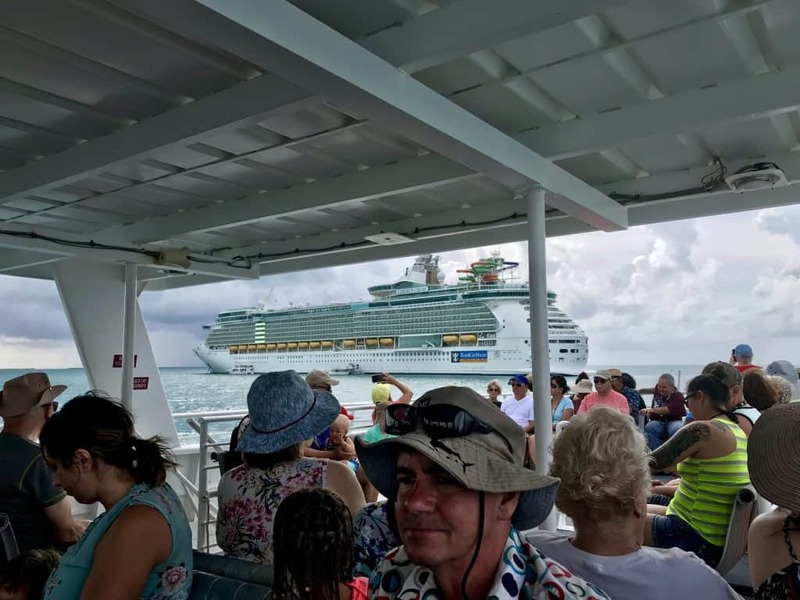 When you get off the ship, go straight to the end of the cruise pier (the water should be on your left as you’re walking) and out the cruise port gate and take a left, and you’re almost immediately at the water taxi pier (on your left). It’s very easy, like literally next door. Walk purposefully, like you know where you’re going. Always make sure you’re aware of your purse or pockets. Petty theft would be the most likely scenario here, just like in any highly touristed area. Be prepared to have people trying to offer you tours, taxis, everything under the sun as you’re walking. Once you get to the water taxi pier, you’ll be rushed by various people wanting you to get a regular (car) taxi or to take your bags. It will probably be overwhelming, you just need to be prepared. Since you’re coming from the cruise ship you don’t have any bags, so just wave them off and go directly to the end of the pier. 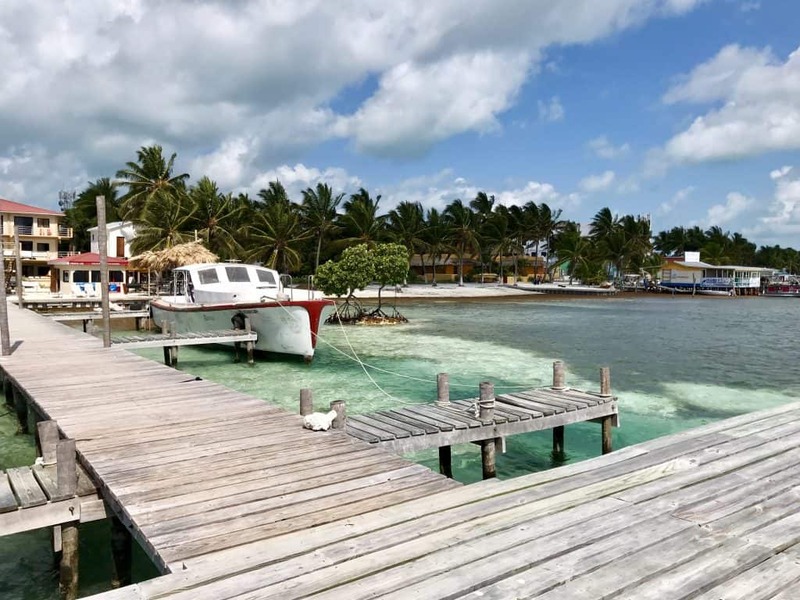 On your right is the San Pedro Belize Express office, where you can buy your tickets. You’ll probably want to shoot for either the 9:00am or the 10:30am water taxi, depending on your docking and tender times. If you end up having time to kill, Annie’s Lunchbox is a great little place to grab a bite to eat! Okay, now you’ve made it…probably good to have a semi-game plan. 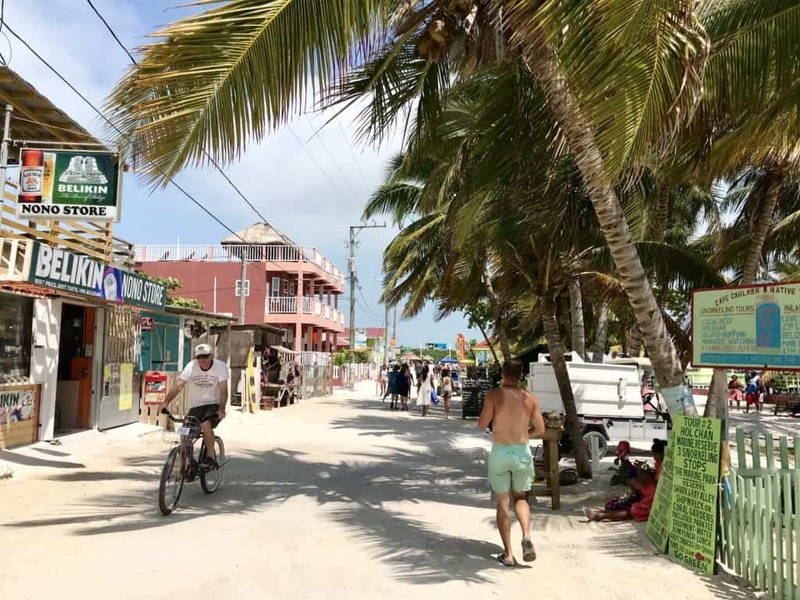 This post I did on Caye Caulker will help provide more info on where some of these places are and why they’re awesome. #1 – Go slow. Wander the streets. One important caveat to #1 is that you may want to grab some cash from the ATM…but you also may be fine with just a credit card and U.S. dollars. Your call. 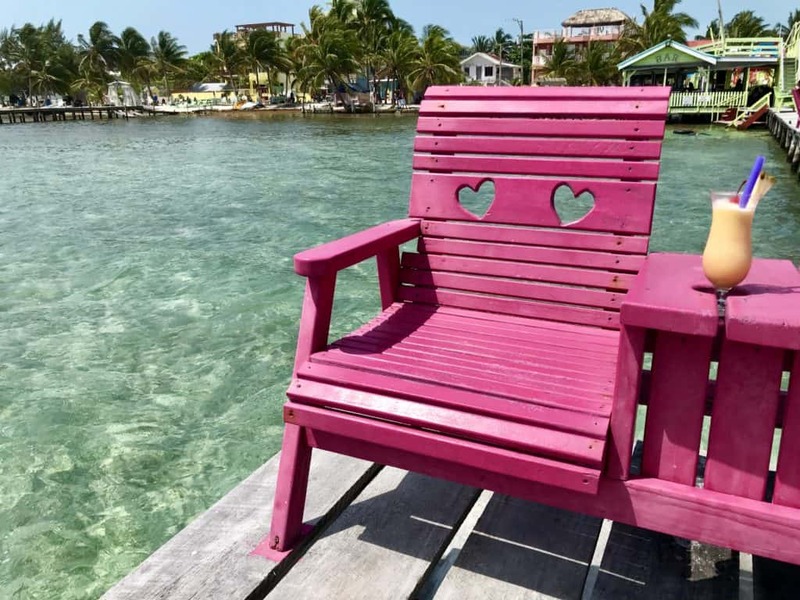 But Caye Caulker is all about that “go slow” life. Seriously, they’ll even shout it at you if they feel you’re walking too fast (which is really my MO in life). Wander up the main drag and just enjoy the bright colors and sun. Guys, I LURRRVVVVVE Ice ‘N’ Beans. It is literally the best iced coffee I’ve ever had, and they customize the sweetening to your palate. They also have these totally delish little cinnamon-sugar covered donuts that you have to get. Honestly, everything here is good…the bubble waffles, the smoothies, whatever. Make this your first stop. If you get off the water taxi, take a right, and just walk up the main street, you will eventually hit The Split at the other end of the island. It’s like…a 5-10 minute walk. Remember, it’s a tiny island. The main draw here is The Lazy Lizard bar, and the view. If you wore your suit, feel free to jump in and cool off (with a drink, naturally)! Personally, I prefer the Sip ‘N’ Dip’s vibe to The Lazy Lizard’s, but both have their charms. The Sip ‘N’ Dip is on your right, right before you hit The Split. 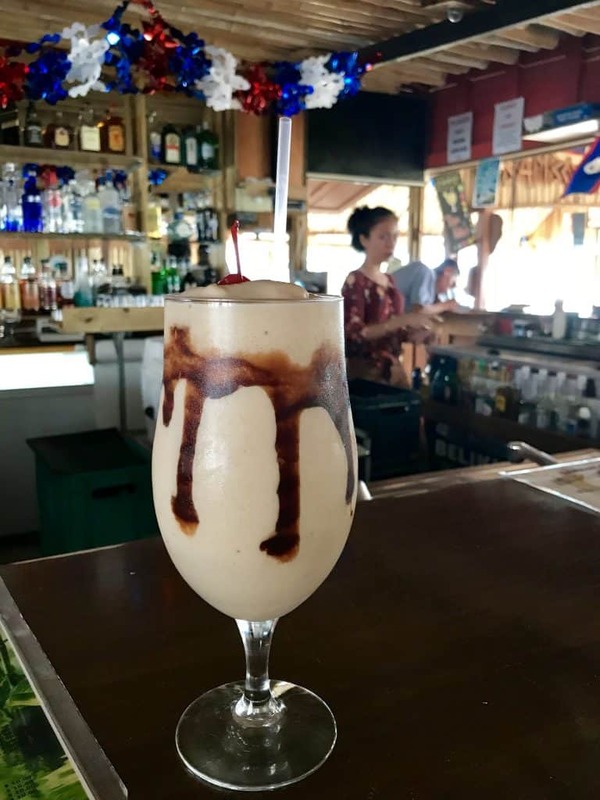 Grab a drink in the shade of the bar, or wander out onto the pier for some sun…or jump in the water and float on a tube that’s tethered to the pier. Definitely chill. Or go get a fry jack from Errolyn’s House of Fry Jacks (a traditional food here). 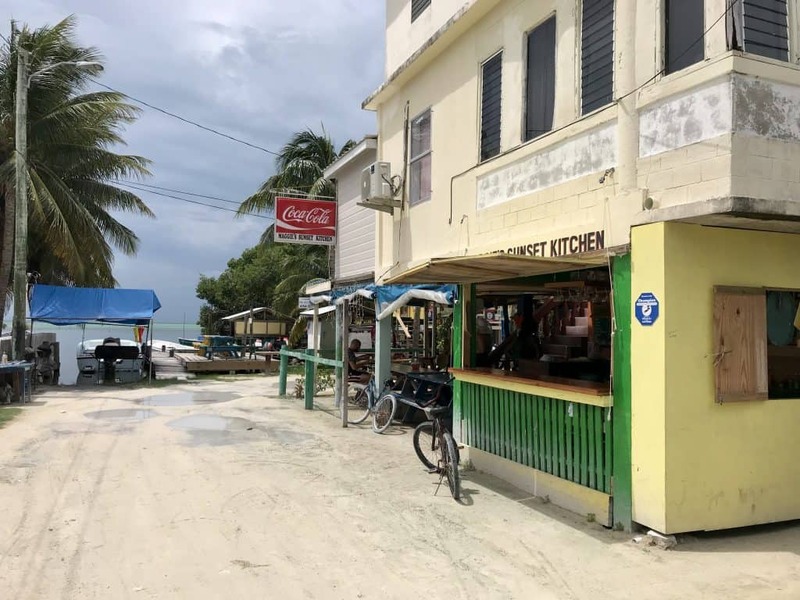 There are several good food options on the island, though they won’t be the ones you find super easily right by the water taxi. I grabbed Maggie’s Sunset Kitchen this time, back on the corner of the island, and was super happy with it—I had missed it on my first trip and so was glad to give it a try. 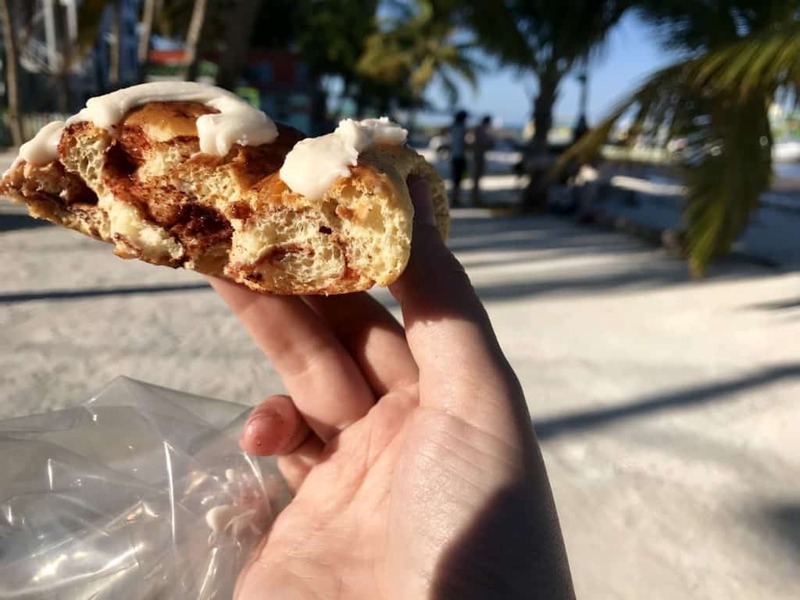 Sadly, it wasn’t the day we went on the cruise excursion, but I went by there every day to get a cinnamon roll when I had visited a few months prior. Those cinnamon rolls are BOMB. Also, go back to Ice ‘N’ Beans for another coffee. This is one of the closest restaurants to the water taxi, so you can grab a seat (or a swing, if you prefer) and a drink to wait. I somehow managed to accidentally order the exact same chocolate peanut butter milkshake with added booze as I had 6 months prior…which is weird and apparently I’m super consistent. 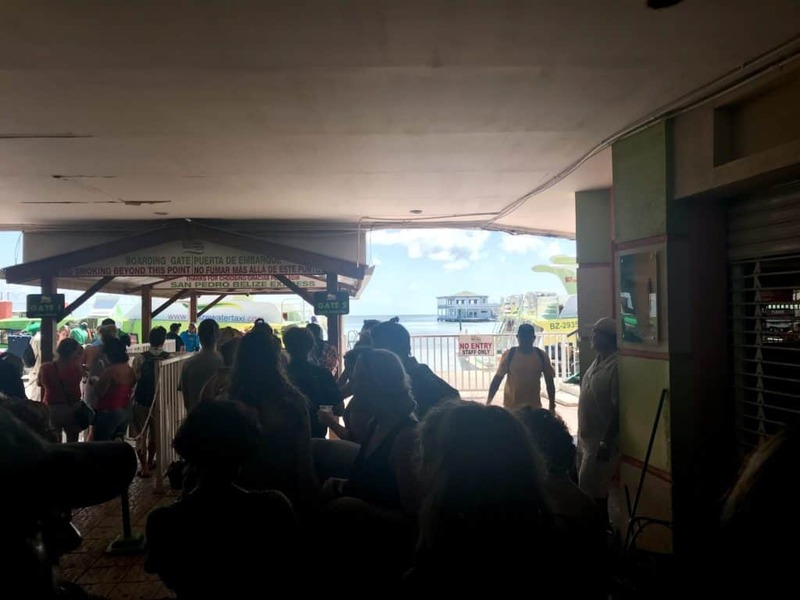 When you get back to the water taxi pier in Belize City, just re-trace your steps…walk back to the main road, hang a right, and you’ll see the cruise port terminal basically right there (on your right). You’ll have to go through security, and then make sure you’ve remembered which terminal your tender is going out from. Queue in line to get back on the boat (and look for folks with the same cruise ship card as you have). Easy peasy. Whew! We accomplished a lot in a short period of time, and everything worked out well. That wasn’t guaranteed, but we had a plan and that helped a lot. 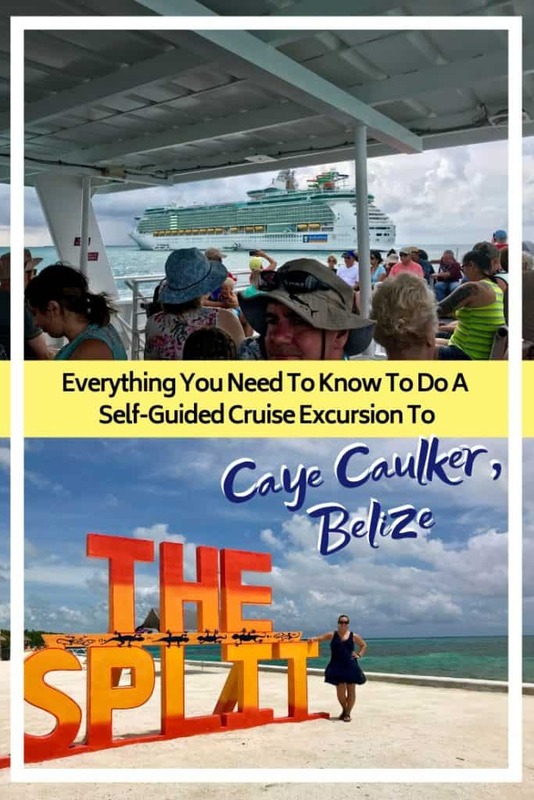 It’s challenging to know what cruise excursions in Belize City will be best for you, but if you’re set on Caye Caulker then this should equip you for success. Hopefully this has helped you in your planning, but please feel free to shoot me a note in the comments with any questions!